so i’ll just pick one of the fruits. Thx. The pineapple SC is incredible, i think @SthrnMixer agrees with me on that one. Its like biting into a piece of pineapple, so juicy and sweet. The peach is also very realistic. I very much like the Strawberry as well but since some trusted mixers are reporting issues im still on the fence. Ive been using it in combination with SB Medicine Flower and only let the one single flavor tester sit for a month so ive done no long term testing in single flavor. To me Yumberry is something special. It is just unusual enough to keep me interested and mixes well in simple cream recipes. I know a few who disagree but i cant remember who so i cant summon them for their opinion. The pineapple SC is incredible, i think @SthrnMixer agrees with me on that one. Thankyou for confirming that LiquidBarn Vanilla Ice Cream has the most Acetoin …time to reorder! Thanks for the info… Just ordered both. Pineapple has been a tough one for me. I haven’t made a successful Pineapple mix yet! I figure I should get the BL FV while it’s in stock. There was a long wait before it came in stock. Wow. Thank you for posting this information. This is VERY educational and extremely useful. Wow what a delicious list of flavours. I think theres a few I dont have there…I should totally work on that. Just once correction @Mikser Real Flavors are pretty transparent re what has what in it if you look at the shop it is clearly marked. @Walt_RealFlavors did have all the msds sheets available but it appears it has been lost in a site upgrade at one stage. I hear great things about RF by many vapors. I was searching their website and elsewhere, but i couldn’t find any publicly released information about their testings. It would be great if Walt can help here. Thx. Just to bring up something I thought before, don’t know if it’s true. What we have to bear in mind here, is that these concentrates were designed for the food/drink industry, not the vaping industry, so pg/vg (because these are Super Concentrates) doesn’t come into the equation. tested at 1-2.5% of whatever it’s mixed with. In contrast to TFA straight test of concentrate. I’m trying to put light on this huge difference in testing procedures. Thank you for this! Very well put together! Or, is it meant that: they tested only 0.6ml of flavoring (as though it was to be used at 2% in a 30ml mix) or 0.3ml (if in a 15ml mix)?? Another vote/reason why transparency is important! We need a “deep thoughts” or “thinking man” emoji! Appreciate the hard work on this, @Mikser. Very informative. I do mix for profit, so I do make sure that I keep the levels super low. Last thing I need is someone suing me for popcorn lung (which would almost be impossible, from just normal vaping), just because they bought a bottle of my juice and had it tested. Not that I would put it past them too try. Good luck to them though. I buried those jars deep! This means that the level at which they recommend to use the concentrate within the final mix, is the type of liquid being tested. 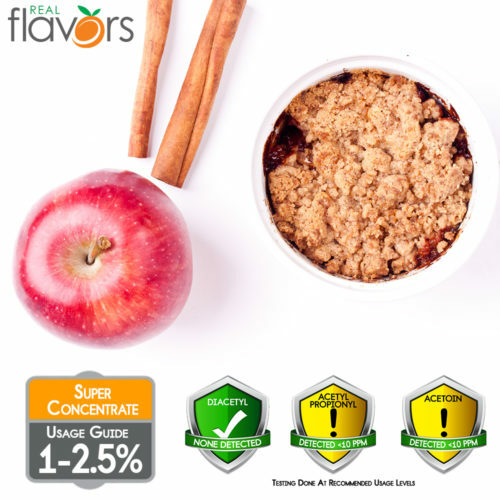 If you use a flavor concentrate within a mix, and the flavor concentrate has, say, 0.03% acetoin/ diacetyl/ acetyl propionyl/ whatever, then when using it in the mix at 3%, the final mix will have a concentration of 0.0009% of that component which comes out to 9ppm (parts per million). In as an extensive job as I can do, researching this whilst not being a chemist, this is what I have gathered. Diketones when used, can be considered what we call “safe” at a level of 10ppm and below. Though there is no real safe way to ingest/ inhale something considered toxic, these are the levels that OSHA has come up with for ‘safe’ exposure. Unfortunately, it is hard to calculate between something like a solid particulate floating in the air versus something being vaporized as well as differentiate in the time of exposure as you are not constantly vaping for 8 hours on end. This is a good read, there are a lot of level for exposure to different chemicals, even those that are not diketones. Many are listed at the bottom in a table, I think if enough people parse through it, we can come to fairly accurate conclusion on what we consider to be reasonable level for putting in our eliquids. Lmao, no, not me but I think I just found a new best friend!